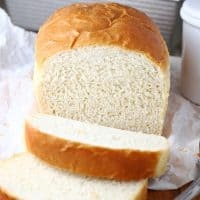 FAVORITE HOMEMADE WHITE BREAD — Delicious, soft, homemade white bread doesn’t have to be intimidating with this simple recipe made with everyday ingredients you probably have on hand. There’s nothing better than a slice of homemade bread! I often find that the most simple recipe, using everyday ingredients, are the best. And that’s definitely the case with this Favorite Homemade White Bread. You probably have everything you need in your pantry right now to bake up a few loaves of this soft, tender, slightly sweet homemade bread. For most people, getting up the nerve to try is the biggest challenge when it comes to bread baking. If you’re nervous about making your own bread, this recipe is a great place to start. It’s super simple and pretty forgiving, and if you follow a few simple tips and tricks, you’ll be enjoying your own homemade bread in no time. Well….it takes a little time and patience for the bread to rise. But it’s definitely worth the wait! Be sure to knead your dough long enough to properly develop the gluten, otherwise, the bread won’t rise correctly. Five to 10 minutes is usually sufficient. I can get away with 5 minutes using my stand mixer, but if you’re kneading by hand, you’ll need closer to 10 minutes. When you’ve kneaded long enough, the dough should be smooth and elastic and pass the windowpane test. Patience is a virtue. You’ve got to give the yeast time to work. Don’t try to hurry things along by putting your dough somewhere that’s too warm. 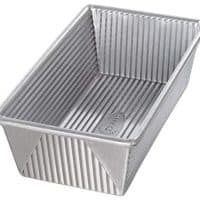 This can cause the bread to over-rise and over-proof, and you’ll end up with a loaf that collapses in the oven. And if you don’t succeed on your first attempt, remember that the ingredients for bread are pretty inexpensive, so it’s okay to keep trying until you get it right. When you’re enjoying a slice of hot, homemade bread slathered in butter and jam, you’ll agree that the effort is worth the results. My family certainly thinks so. 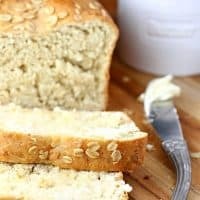 This recipe makes two loaves of bread, and they disappear from my kitchen counter within a few days. After trying many basic white bread recipes, this truly is our favorite. 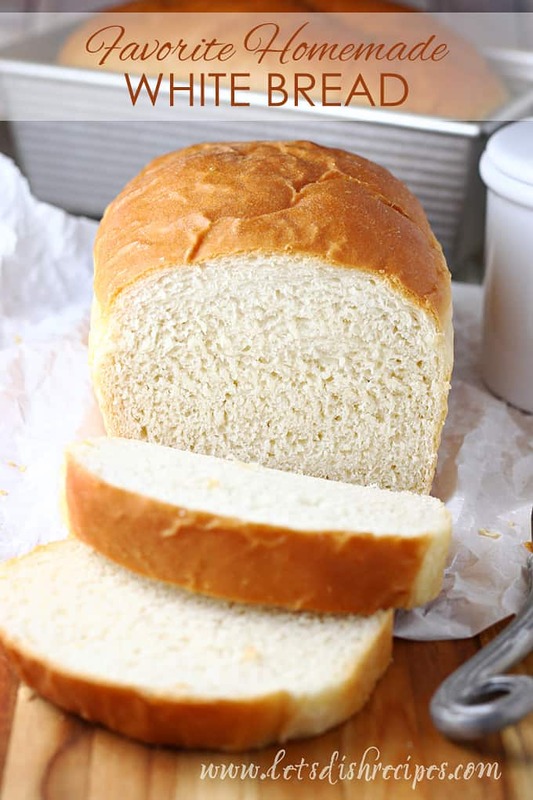 I hope you love this Favorite Homemade White Bread as much as we do! 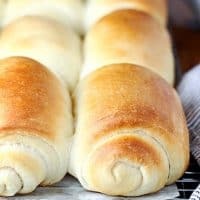 Be sure to save this recipe for Favorite Homemade White Bread to your favorite Pinterest board for later. 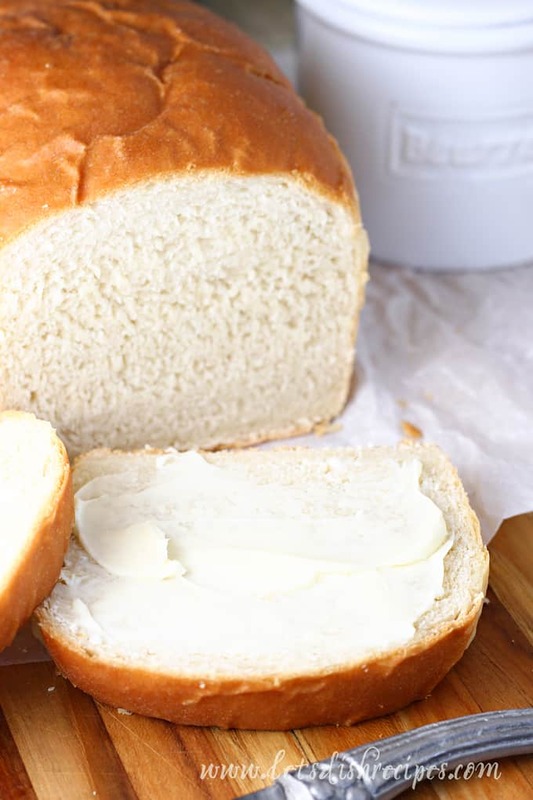 Delicious, soft, homemade white bread doesn't have to be intimidating with this simple recipe made with everyday ingredients you probably have on hand. There's nothing better than a slice of homemade bread! 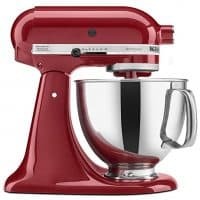 In the bowl of a stand mixer fitted with the dough hook, combine the warm water (95-115 degrees F.), yeast and 1 tablespoon sugar. Let stand for about 10 minutes, or until the mixture is frothy. In a medium bowl, combine the melted butter, 1/4 cup sugar, evaporated milk and salt. Add to the yeast mixture and mix well. Add three cups of flour to the mixer and mix well. Began adding 1 cup of flour at a time, up to 5 cups. 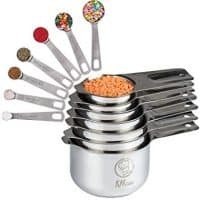 When you've added 5 cups, began adding flour 1/2 cup at a time until the dough no longer sticks to the sides of the bowl or your fingers. Place the dough in a large, lightly oiled bowl. Cover and let rise in a warm place for about 1 1/2 hours. On a floured surface, punch the dough down and need for about 5 minutes, until smooth and elastic and soft. Cut the dough into two pieces and roll each piece into a long rectangle, about the length of your bread pans. Place dough into two greased bread pans. Let the dough rise for an additional 30-60 minutes (until it resembles a good loaf of bread). Meanwhile, preheat oven to 375 degrees. Bake for about 25 minutes, or until golden brown. 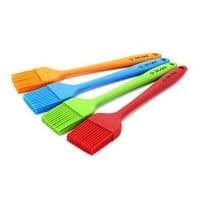 Brush with melted butter and place on a wire rack to cool. A bowl and a wooden spoon is all you need to make these fluffy, no-knead dinner rolls. 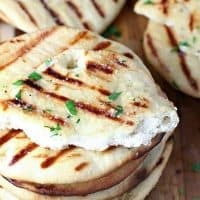 This traditional Middle Eastern yeast bread is grilled then slathered with butter and sprinkled with garlic salt for a savory side dish that is hard to resist. 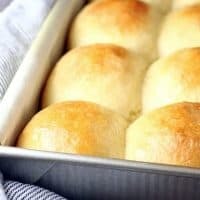 These soft, buttery dinner rolls are perfect for special occasions and holidays. They freeze well too! 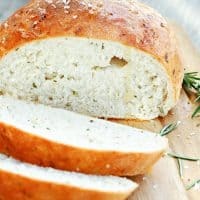 This simple yeast bread is infused with fresh rosemary and sprinkled with sea salt for a beautiful loaf that goes well with almost any meal. 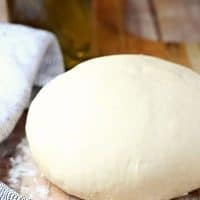 This easy to make pizza dough is perfect for pizza crust, calzones, breadsticks and more!